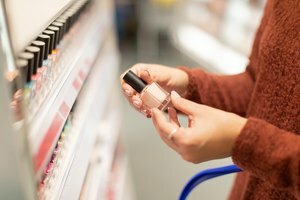 As if selecting a nail polish color weren't difficult enough, you are also faced with many different types of nail polish from which to choose. Polishes come in a variety of finishes, from matte to glittery, and formulas that promote growth, strengthen nails, dry fast and extend the life of your manicure. Which type of nail polish you choose will depend on the health of your nails as well as the amount of time you have to commit to painting them. No two polishes are created equal. Read on to learn about the different types of nail polish so you can choose the right one for your nails. While nail polish comes in every color imaginable, there are also a variety of finishes you can choose from, with each creating a very different look. Matte polishes are often the most conservative; they are a flat color with a subtle shine. There are also formulas made to have extra shine, so that your nails look as if they are still wet. Cream or pearl finishes have a subtle amount of shimmer when your nails catch the light. The next step up is a metallic finish, which as the name conveys makes your nails appear like metal. Metallic polishes are popular in copper, gold or silver. The most flashy of all nail polish finishes is glitter. The polish will contain little pieces of glitter, which can range from tiny specs to noticeable chunks. This type of polish is most common for nighttime wear. If you have especially weak or brittle nails, look for a strengthening formula that promotes nail growth. There are many clear nail polishes that offer these benefits, but there are also colored nail polishes that can provide the same results. This type of nail polish will prevent nails from splitting or chipping, so you can have longer nails. Typically growth enhancing nail polish contains strengthening fibers and proteins to promote healthy nail growth. For best results, reapply polish every two to three days. It is very frustrating to have your nail polish chip just a few days after you apply it. If you do a lot of household chores, such as washing dishes, you want to be sure your nail polish is up to the task. 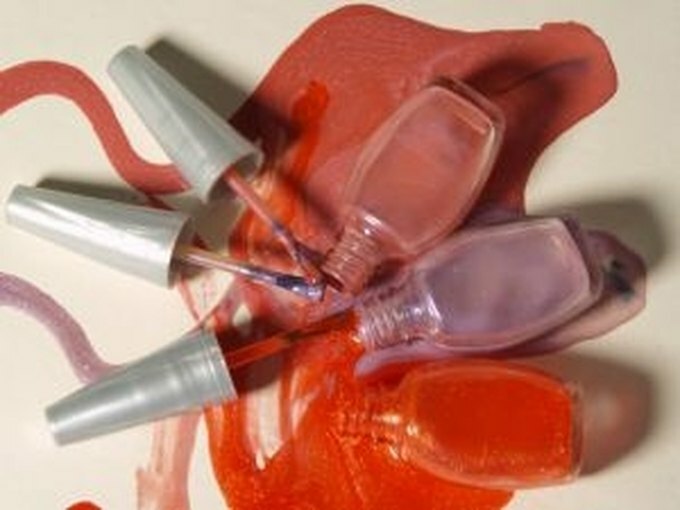 Choose a long-lasting nail polish to ensure your manicure lasts a week or more. To further enhance the effectiveness of this type of polish, be sure to apply polish to the tips of your nails as well as the tops. Finish with a top coat and reapply every two or three days to ensure an effective seal. Nail polish usually takes a long time to dry. If you paint your nails, you must be able to commit at least an hour before trying to do anything with your hands. However, some of us simply don't have the time to sit around. Fortunately, there are quick-drying nail polish formulas that will be dry to the touch by the time you finish painting your other hand. Still, you should take care not to smudge the polish for at least 15 or 20 minutes after application. To make your manicure last and avoid discoloring your nails, you should use a base coat before you apply nail polish and a top coat afterward. However, these extra steps take a lot of precious time. Cut your manicure time by a third and use an all-in-one nail polish. It contains both a base and top coat, so you can paint it right on your bare nails. You should still apply two to three coats (for darker polishes) to ensure thorough coverage.